“My mother was the Queen of Rarataonga, so I am a princess,” admitted Myra Love, with a gentle ambivalent grin, when I pressed her. 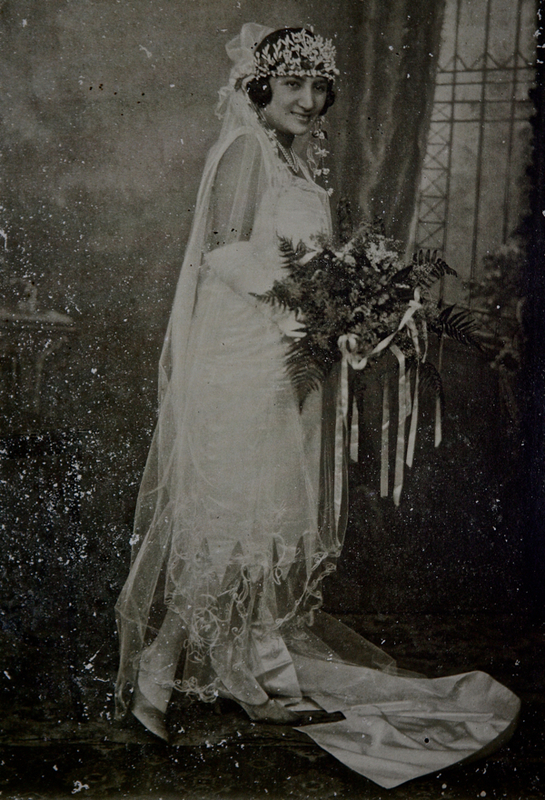 Yet her ancestry on her father’s side is equally impressive, she is a Maori of the Te Ati Awa tribe of Petone, and her ancestors include two eighteenth century Scots from Selkirk - an explorer and an whaler – who married Maori princesses, Robert Park (brother of Mungo Park) and John Agar Love. “I always say my legs are Scottish,” Myra added with a smirk, claiming the European thread in her lineage with pride. In this moment, I was afforded a glimpse of the woman who was born to be Queen of Rarataonga, because even though she does not choose to enact her public role, Myra’s abiding concern is the stewardship of the land on behalf of her people and her driving force is her desire to leave it in a better state. In another age, Myra might have led her tribe in battle, but today she fights at the High Court instead. “We are a warlike people!” Myra informed me proudly, accompanying the declaration with a winning smile. She knows that the success of her endeavour will define her legacy when she is long-gone, and in this sense, her concerns are parallel to medieval English royalty, seeking to unify the realm for generations to come. 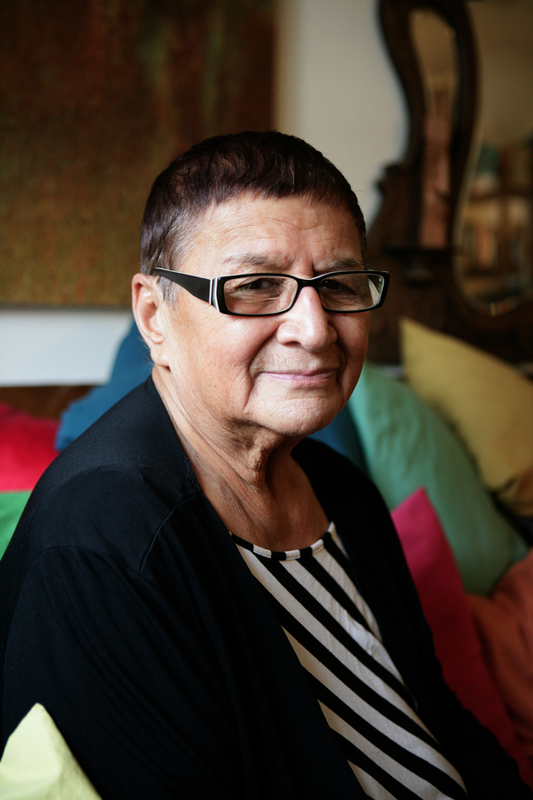 “When I was a child, there was a feeling that we were second-class citizens.” continued Myra with a shrug, “If I was put down for being a Maori, my grandmother would say ‘Remember they’re walking on our land,’ and she owned quite a lot of land. My father was going to change how land was owned in our part of the country but he went to war and got killed instead. He was a leader of men. I was only five when he left. He went to Sandhurst and was the first Maori to command a battalion in World War II, but Maori leaders always fight alongside their men, and he was shot. Stepping into Myra’s warm flat, painted in primary colours and crowded with paintings, plants, photographs, legal books, jewellery and musical equipment, I entered the court of a woman of culture. Not in the least high-faluting, she balances her serious intent with an attractive emotional generosity, which made it an honour to sit beside her as she opened her photo album. And Myra made it clear that she became the author of her own destiny, when she made the break at twenty-one and ran away – like Audrey Hepburn in “Roman Holiday” – to find a new life in the wider world. 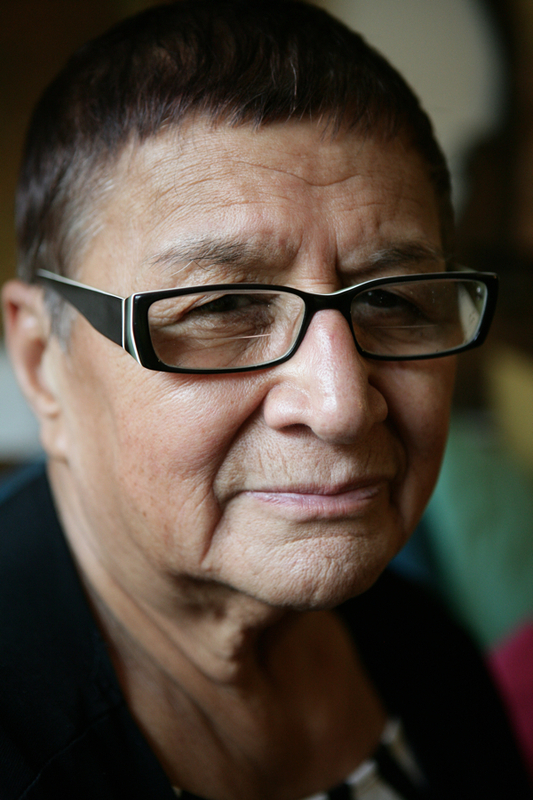 “Once my grandmother died, the family disintegrated and I was moved out of the family house, so I decided to leave. Every Christmas we met together, but when she was gone there was a fight for the land, so because my family were all angry, I chose to go to America and become a jazz singer. I sold a piece of my land to my uncle for £300 and bought a P&O ticket to San Francisco. You think everywhere’s going to be like New Zealand, so it was a bit of a shock when I got off the boat, because I was bit of a hokey girl. But it was exciting and, going through the Golden Gate Bridge, I thought, ‘My dreams are coming true.’ And some girls on the boat told me they knew Oscar Peterson, and they took me to the Black Hawk Club and there was Oscar Peterson. But I thought, ‘I’m going to New York,’ so I got on a train. It was 1958 and I had £100 left. I was an innocent abroad. In New York, I stayed on Bleecker St, just around the corner from Marlon Brando. 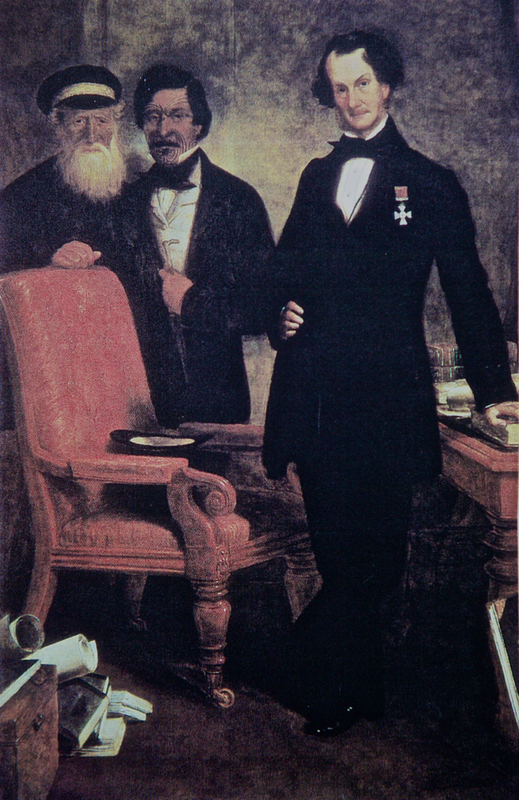 This painting of 1858 by William Beetham shows the Maori Chiefs of Wellington with Dr Featherstone at the time of treaty of Waitanga which established peaceful colonial government in Aotearoa. On the left is Hon Tako Ngatata MLC and in the centre Honiana Te Puni Kokopu, from whom Myra is descended. 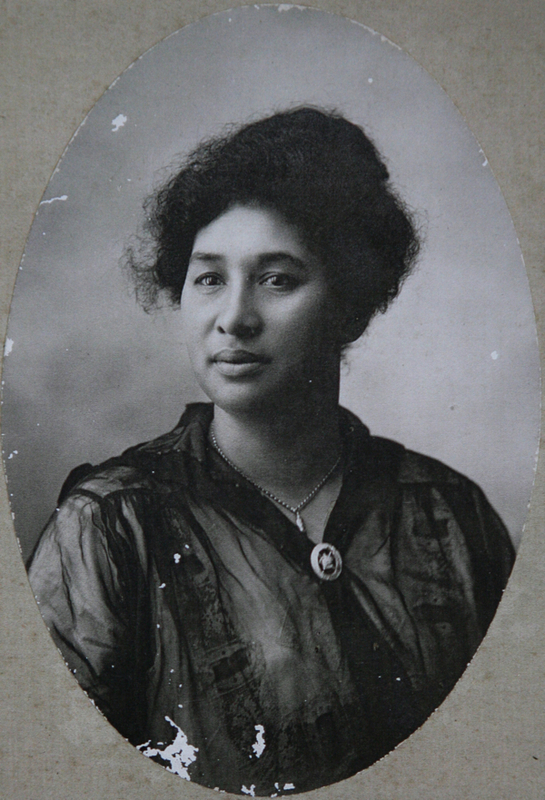 Myra’s mother, Takau Upoko-o-nga Tinirau Makea Nui Ariki Love, Queen of Rarataonga. Rangitira women of the Te Ati Awa tribe. At the centre is Lady Pomore, standing to her right Romahora, then Grandaunty Mata with Grandma Ripeka Love at the end of the row. What an incredible story; what a fine woman! What a unique and remarkable story, of a courageous and characterful woman. I don’t understand about this online stuff but if this is really you and you were living in Australia?please email me? 1 601 – ? ? 1 713 – ? ? 3 201 – ? ? 3 425 – ? ? 6 401 – ? ? 6 849 – ? ? 12 801 – ? ? 13 697 – ? ? 25 601 – ? ? 27 393 – ? ? 51 201 – ? ? 54 785 – ? ? 102 401 – ? ? 109 569 – ? ? 204 801 – ? ? 219 137 – ? ? 409 601 – ? ? 438 273 – ? ? 819 201 – ? ? 876 545 – ? ? 1 638 401 – ? ? 1 753 089 – ? ? 3 276 801 – ? ? 3 506 177 – ? ? 6 553 601 – ? ? 7 012 353 – ? ? 13 107 201 – ? ? 14 024 705 – ? ? 26 214 401 – ? ? 28 049 409 – ? ? 52 428 801 – ? ? 56 098 817 – ? ? 104 857 601 – ? ? 112 197 633 – ? ? 209 715 201 – ? ? 419 430 401 – ? ? 838 860 801 – ? ? 1 677 721 601 – ? ? 53 687 091 207 – ? ? 107 374 182 401 – ? ? 107 374 182 413 – ? ? 214 748 364 807 – ? ? 214 748 364 811 – ? ? 214 748 364 815 – ? ? 429 496 729 601 – ? ? 429 496 729 603 – ? ? 429 496 729 635 – ? ? 858 993 459 205 – ? ? 858 993 459 267 – ? ? 858 993 459 269 – ? ? 1 717 986 918 537 – ? ? 27 487 790 694 912 – L’Inéffable Dieu, Le Dieu de toutes Bontés (Chretien) ,L’Etre suprème ,Dieu en toutes choses ,en Tout et de tout Univers,”L’Indifférencié”,L’Eternel,ou le Brahman ,Energie divine absolue,immuable et Eternelle (védas); ou DAKSHA Pere des Dieux;ou ALALU ,le Premier (Ourrite); ou GAUT (Goth,Wisigoth,Ostrogoth); ou GOD (Anglais),ou GUD (Scandinave) ,ou BOG (Croate) ,ou BUH (Tchèque) ,ou BHAG (Indo-Européen).Seigneur Souverain,Essence et Regnant du (Grand)”Tout”,assis au 7- 8 et 9eme Ciels des Cieux au 7eme Royaume. 59 029 581 042 467 634 937 857 – .. ..
59 029 581 042 467 634 937 859 – .. .
Tena Koe, Myra. Good to read about your life. Your whakapapa from Alain Foullon is about the biggest ever. From your photo, you remind me of the Love family from Waitara. v Take care. Very interesting. Auntie Myra’s sister Veia is my grandmother, they look so much alike. It’s nice to learn about the how the other sister’s navigated through life. I visited Rarotonga for the first time this past summer and heard many tales about Auntie Myra’s singing. One day I hope to hear it. 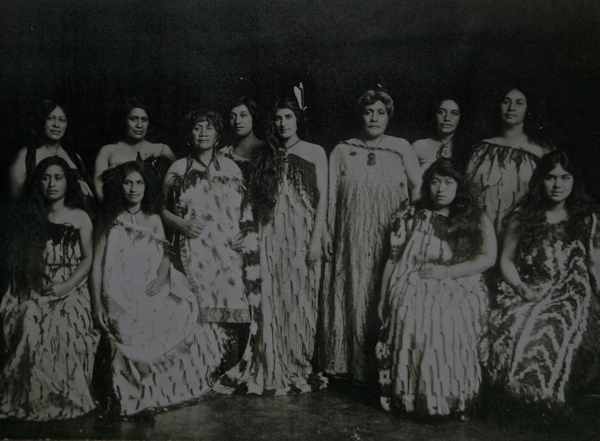 Is Maata Te Naihi in the photo of the Rangitira women of the Te Ati Awa tribe? It’s good to read about you here. We both love Pat (always alive) and Gil. You will be grieving for Marei as I am. Our lives have been parallel rather than close but I will never forget your singing at a St Asaph Street dance in Christchurch. May the rest of your life be wonderful. I chanced upon your name in a recent issue of the Guardian. It rang a bell after a gap of 60 years. I was the skinny guy with glasses at Rolleston House who shared a love of jazz with you while you were at Connon Hall. I have tracked you down through Spitalfields Life. What a small world! Since then I have spent most of my working life teaching at Nelson College. I am now retired and still living in Nelson. It was lovely to read of your life in the intervening years. 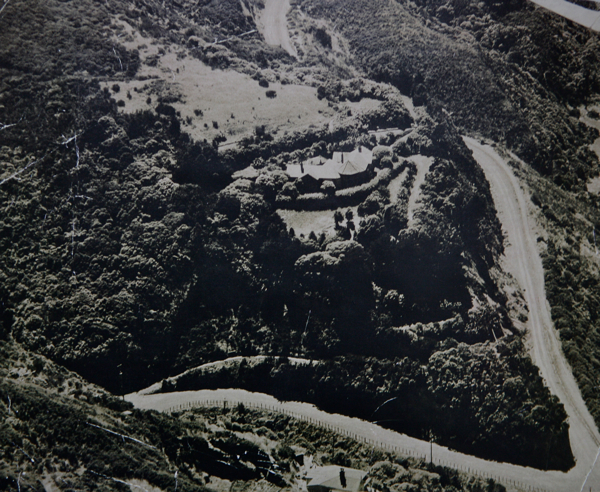 Nice to read of your efforts for your tupuna both in nz and the cooks; we are distant relatives through the Makea line – i have some of my grandfather’s possessions and included is photo of you with your father and two sisters. You look to be only about three years old – We are from makea vakatini – my grandfather was john tukatara david (tavita). Would you like a photograph of the painting? What an incredible story, it is great that this site was created so that we could all tell our own story, You were so brave Myra to take that step and leave your homeland and venture overseas into the unknown and make another life for yourself, those photos are unique and give those of us who are interested in our heritage to see them. Thankyou for publishing your story and the pictures of your ancestors. My grandfather Owen also came to UK (during the second world war), he was descended from the rangatira of Pipitea Pa, and had occasions to demonstrate our family’s warlike proclivities around London himself when treated as a second class citizen; always by strangers, and always only the once of course . I have read about your father who seems to have been a fine man, and of the 28th Maori battalion, my own grandfather seems to have come to UK to fight WW2 via the Spanish Civil war – though I have been unable to discover anything of the Maori involvement there. 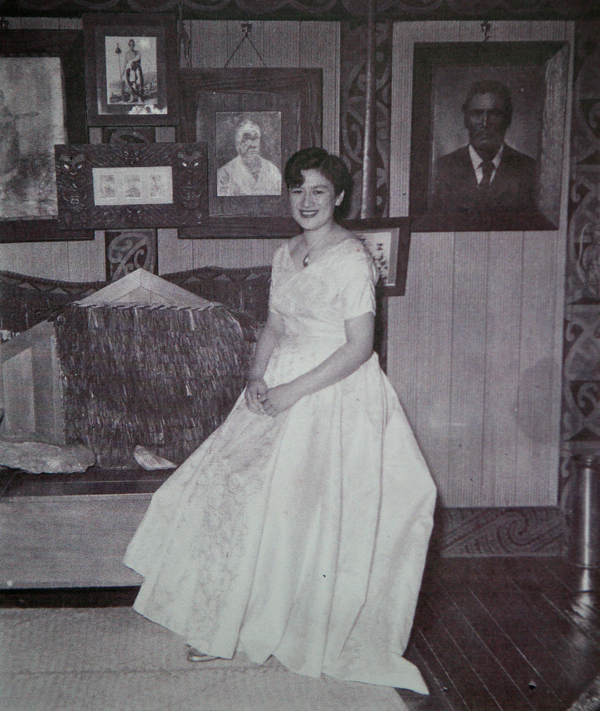 I have a copy of Maui Pomare’s book, I take it that is his wife in the photo?, you may be interested to hear that some of Maui’s artefacts still exist and are displayed at Lydney Park, Forest of Dean once a year (residence of Lord Bledisloe descendant of Charles Bathurst who gave the Waitangi land back – for whom Honiana Te Puni helped carve a throne) – His descendant Rupert still maintains that families mana and recently helped us fight to keep the forests in the hands of the tangata whenua here. I must say that I am pleased to see the mana of your branch of the family being maintained and increased in the traditional ways by helping those that make up our whanau wherever we may find them, be they Maori, Eastenders or Forest (of Dean) ers . It is a shame that it seems we may never have rights to our land, but by keeping our history and people alive, this may lead to a better future for us, and perhaps eventual access for future generations to our rights; supposedly enshrined in NZ law for so long, both for the benefit of our people and for the benefit of the law itself. hello Myra. Deborah Randall-Cutler’s mother Joan here. just touching base. Family in my mind a lot these days as I pull together the last chapter of my third book which covers the Maori battalion, your Dad Tiwi Love and other notable men who need to be honoured. Good to know you surving the rat-race. I first visited your site in 2010 while researching my son-in-law’s ancestors. He is a descendant of No Kuru Witako Love, first born son of Taniora Mana Love. I was particularly interested in the painting by William Beetham that you have on your website & have always meant to ask you where the original can be viewed. Is it in a gallery? It is such an amazing historical painting. I am thrilled to be meeting you today for lunch and to discover we are both living here in London is truly amazing. Linda Evans might be interested to know my G3 grandfather is William Beetham the portrait artist who painted the portraits of Myra’s family members Chief Wi Tako Ngatata MLC, Honiana Te Puni Kokopu. This connection is all thanks to Spitafields Life! I hope you may remember this name. So many years have gone by but I still have memories of our younger days. Our children now want to know more about our family. I have just had my 83rd. Birthday and am still playing piano with our local amateur theatre group here in Opunake which is where we have been living for many years. Have met up with Peter and Ngatata on rare occasions. Stumbled on this website by accident. Hope you are well wherever you may be. It’s Neiomi here. Daughter of Thomas. I didn’t realize you were living in new Zealand. I thought you were living back rarotonga. I would really love to get to know more about my history and meet my family in new Zealand that I do not know yet. I really want to learn the heritage left to me by my grandmother so that I can pass it on to my own kids one day and they can be proud of where they come from.. I am living in Palmerton north. I hope you will contact me. PS : au sujet de votre Généalogie ….il y a d’autres choses aussi ,intéressantes ,il faut aller sur le site Généanet (inscription gratuite), dans la Généalogie ,code “foullon” cherchez par exemple les noms :”Des Cieux” ,”Des Anges” ,”de l’Enfer” ,”des Vivants” ,”des Hommes” ,”Terrestre” ,”de l’Espace” ,”Cosmologique” ,”Galactique” ,”Stellaire” ,”Dieu” ,”De Polynésie” ,”Du Japon” ,”De Chine” ,”Maya” ,”Des Incas” ,”D’Egypte” ,”De Grèce” ,”De Rome” ,”De Bretagne” ,ect ,etc ,…puis faites “Ascendance (simple) ou Descendance (rédigée) à votre convenance ;portez vous bien ,bien à vous ,Amicalement ,A.F. Margaret and I will be back in England again this summer for a month. I’m not sure where you will be but if you are in England, we’d love to come over again to see you again. I can’t believe that it has been 30 years since we last saw you in London (when Sarah was born). If you could send us a note we’d love to contact you again.